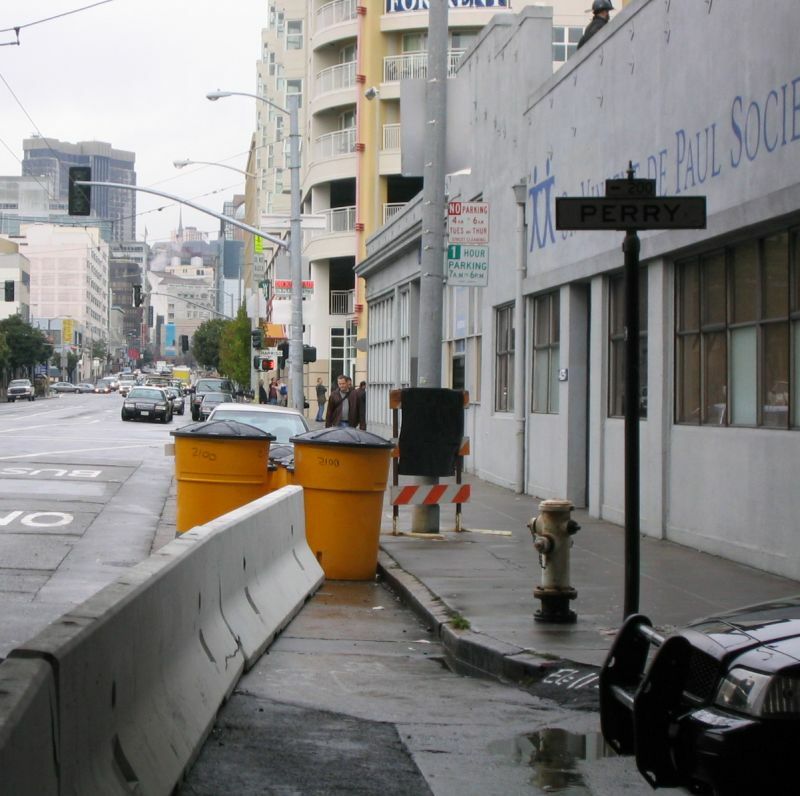 Today I walked from the Powell Street train station down 4th street toward the office. 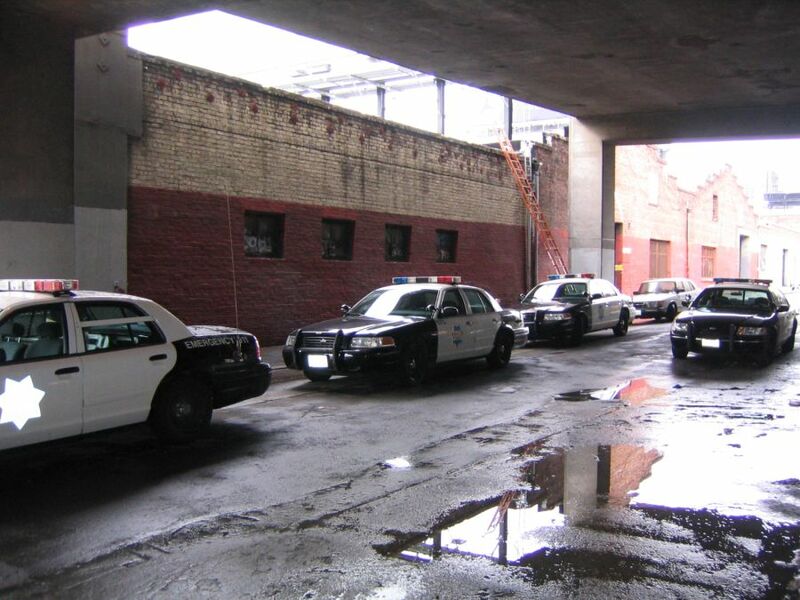 When I got to Harrison Street, I noticed several police cars parked on the street. At the intersection I saw an unusual scene. 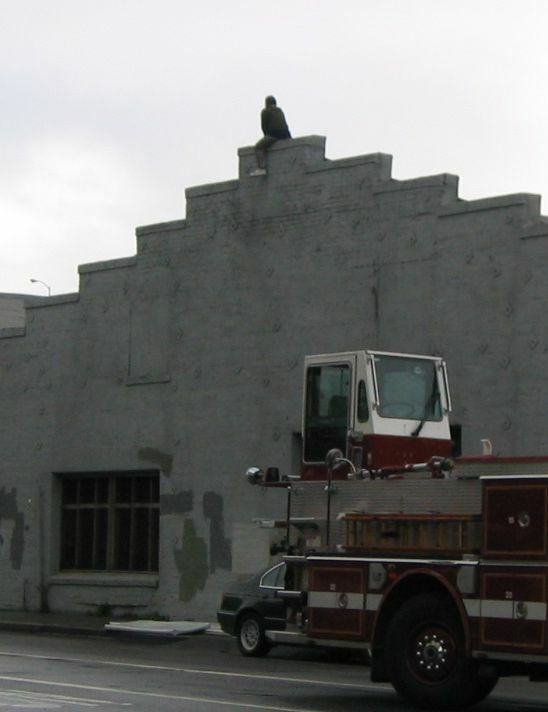 Apparently somebody with suicidal intentions climbed on a roof. After I got a first impression of the situation, I immediately did what any concerned and responsible citizen would have done: Got out the camera and took pictures. 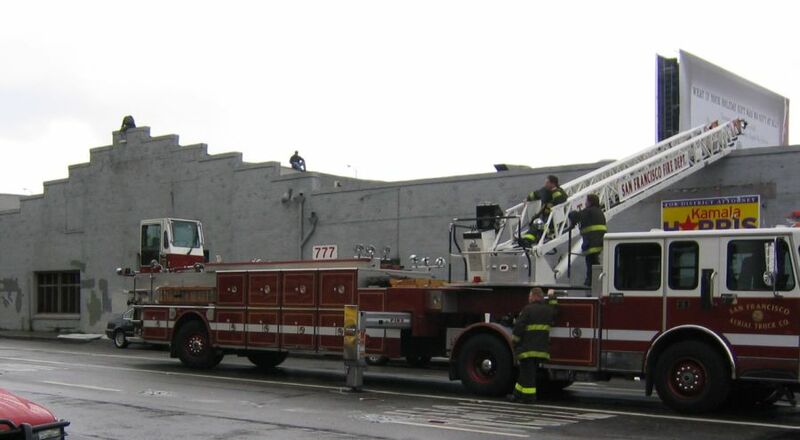 It looks like the guy had been on the roof for some time, judging by the calm demeanor of the firemen. A few other individuals on the roof seemed to be talking with him from time to time. Under the guy on the sidewalk you can see a few pads placed there by the firemen. Not sure how useful they were though since they appeared pretty thing and not spread out very far. This is the side of the building facing North where I came from. 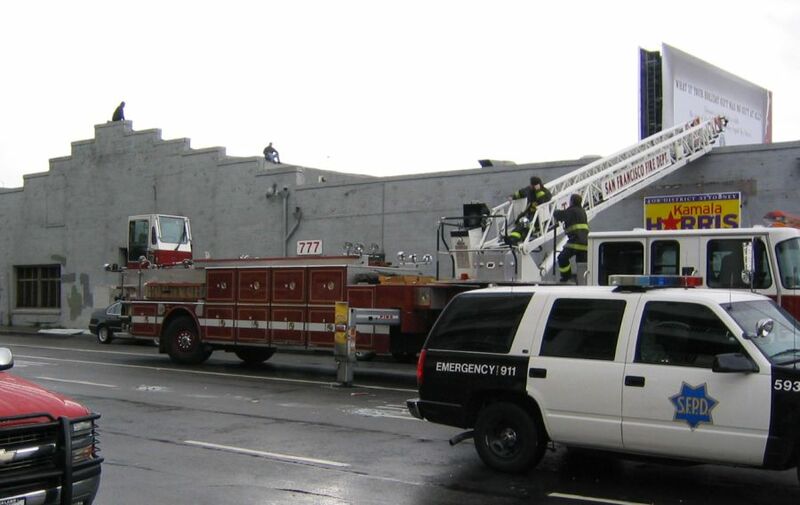 On the left you see a row of police cars, in the middle the audience at the intersection, and at the top right some firemen on the roof. This is the back of the building. Further right were more police cars, not visible in the photo. This was apparently the main event of the day. Since I’m a good corporate drone, I continued on my way to the office, looking forward to endless conversations with computer experts at customer companies with varying IQs and social skills who are highly allergic to PDF files that contain an endless stream of valuable information and instructions, as well as to any independent testing, experimenting, or thought in their lab with our wonderful security software. Nine hours later on the way home everything was back to what passes as normal around here. Only a lone strip of police tape reminded of the exitement in the morning.